Tom Morgan has served the commercial real estate industry in San Diego county in various capacities for more than forty years, which included leasing regional and neighborhood retail centers; representing various retail/restaurant and financial clients; developing retail industrial and office building properties; serving as the Senior Director of Real Estate for the Port of San Diego; providing development and land use concepts as well as comporting financial analyses for the San Diego County Regional Airport Authority; as well as land use and redevelopment studies for outlying airport properties. In addition Tom has assisted local and regional churches in the sale and purchase of over $50 million of such properties over the past few years. 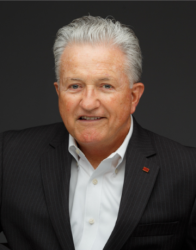 Tom has consistently been a “top producer” in several major commercial real estate companies in San Diego.